Contact us before you spend another penny on your Honda’s maintenance, as we are able to save you time and money with our Pre-Paid Maintenance Program. When enrolled in Fletcher Care, receive peace of mind knowing you are receiving expert Honda Service, Genuine Honda Parts, all while protecting you from potential parts and service costs increases in the future. 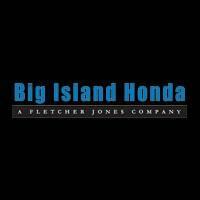 Starting as low as $159, Fletcher Care will save approximately 35% on your Honda Maintenance. Enroll to start receiving the benefits and saving today!